This sliding skylight is carefully designed with all the framing outside the internal hole, so the stainless steel cannot be seen from below, whether the roof is open or closed. At all times there is a clear view of the sky and maximum light penetration to the interior. In the event of power or systems failure, the roof may be pulled shut by hand. In this particular example the client wanted a fully installed ‘emergency close pull cable’ which can be operated internally for simple closure. 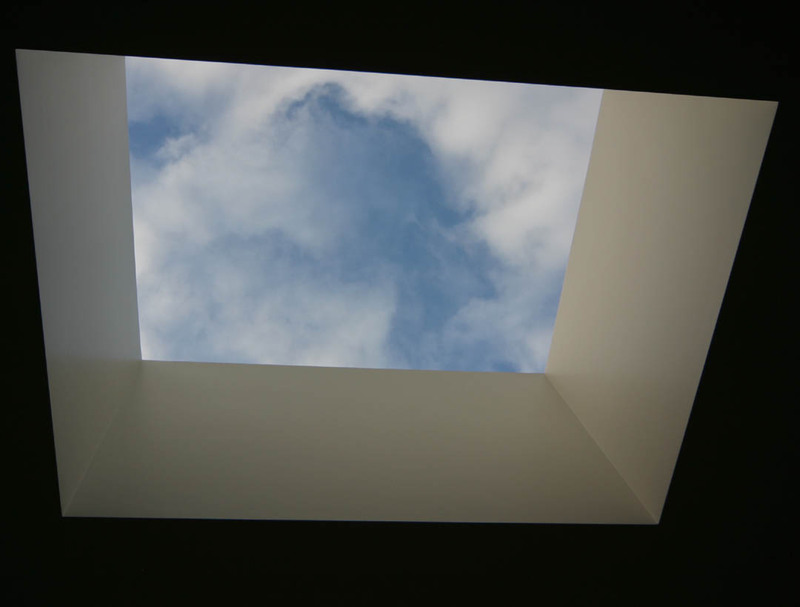 Small opening skylight designs such as this one can have a fully cantilevered lightweight support frames. It does not require further support or tracks on the adjoining roof area. In this instance the total weight is ca 90kg. The motor and control system are integrated into the frame casing. This results in an economic product that is very quick and simple to install. It requires a very simple electrical feed and no external switching, as it is operated by a hand-held remote device.